*Usually, bounced email addresses have the default “does not like recipient” error in their content, and the “failure notice” subject line. 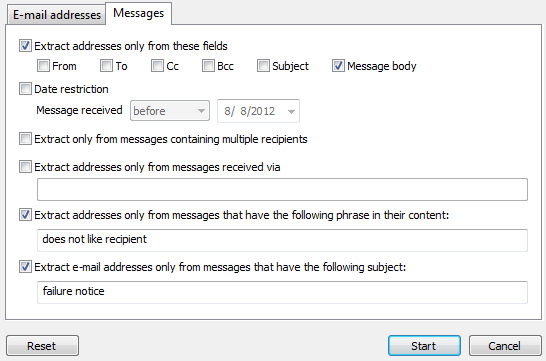 You may need to check how a bounced email looks on your system and then make the appropriate changes. 5. 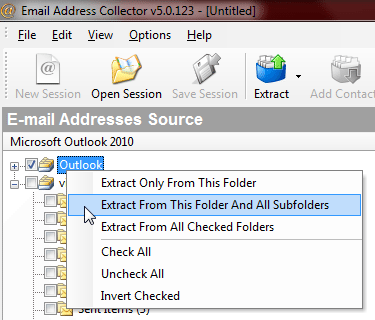 Click on Start and Email Address Collector will soon present you with a list of all addresses to which you have received a bounce-back reply.